Get rid of clutter !!! 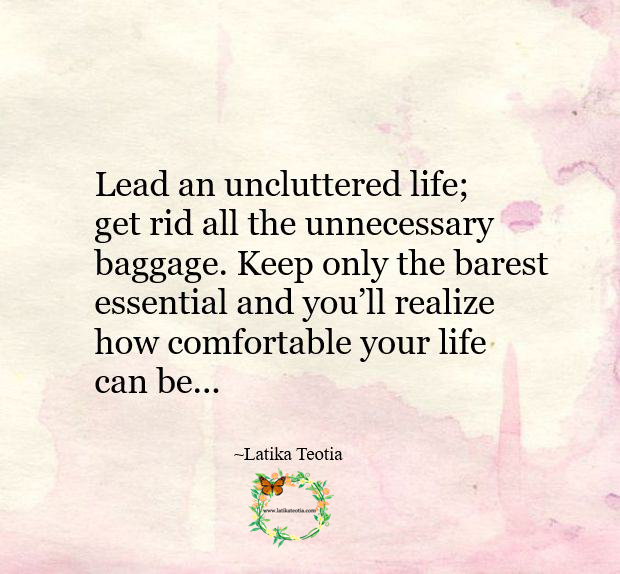 Lead an uncluttered life; get rid all the unnecessary baggage. Keep only the barest essential and you’ll realize how comfortable your life can be.